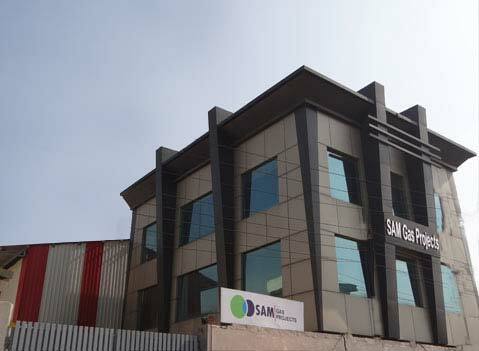 We Sam Gas Projects Pvt. Ltd. is a technology-driven USD 5 million company. The organization was Incepted in the year 2004 and works with maintaining perfect balance between engineering and imagination. Our list includes a large amount of advanced solutions, services and products to our vast list of clients all across the globe. Each product of our company embodies outstanding technology and impeccable quality. Extensive R&D capabilities, backed by a certified quality assurance system are pivotal in offering first grade products to our clients. We have created value for our clients and offer them a competitive advantage further helps them to propel their businesses. The Gas Plants like nitrogen, oxygen, hydrogen & CO2 Gas Plants etc. manufactured and exported by the company are in good demand overseas finding buyers in Gulf, Asian and European countries. The success and growth achieved by the company in such a short span of time is a result of concerted efforts put in by key personnel and dedicated workforce. The product range, meeting international norms of safety are sure to exceed the expectation of customers. With continual research and development efforts the company has maintained its edge in competitive markets with total quality supplies. Our History - A Tradition of Excellence. A Legacy of Results. The brief history below demonstrates how SAM GAS PROJECTS has reinvented itself repeatedly in order to meet the challenges and opportunities of new technologies. Since the beginning, we have served our clients with flexibility, effectiveness and integrity. The twenty first century has marked the start of a new chapter for us - characterized by new and expanded technological and market developments enabling us to grow and prosper. We look forward to a future that looks as bright as our past as we continue to �Develop Results.� with our clients. Today in an evolving market, the only thing certain is change. Yet, during our history, one factor remained constant focus on using technology to develop the most innovative and practical solutions that deliver best results and satisfies the clients. Major acquisition activity to expand competencies and industry expertise continues. In a move to strengthen its global business, it maintains its dignity and provide healthier atmosphere to the workers.